Most of these images were taken by plant collector Frank Horwood, who visited Somalia several times. Somalia is one of the very special parts of the dry tropics. It is a vast expanse of seasonally arid land very close to the equator. Though it is dry and often referred to as desert, Somalia instead has a very rich tropical flora. The rainy season can often be severe in places and sometimes accompanied by tragic flooding or, by disease outbreaks as reported in a Kenyan headline in early 1998 (the outbreak turned out to be Rift Valley Fever). 1. Adenium obesum (A. somalense), a bottle tree in the Oleander Family photographed near Las Gorey in northern Somalia. The Gulf of Aden is visible in the background. 2. The fantastic forms of Dracaena trees (Dracaenaceae) near Cal Madow in northern Somalia, in the mountains above the area of the previous photo. The ocean is still visible in the distance. 3. View of the calcareous landscape near Las Anod in the central part of northern Somalia. The thick plant is Dorstenia gypsophila, a member of the Fig Family (Moraceae). 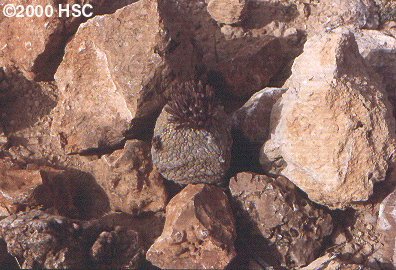 Most Dorstenias are small herbs; this species is a giant in the genus. 4. Euphorbia columnaris (Euphorbiaceae) near Las Anod. 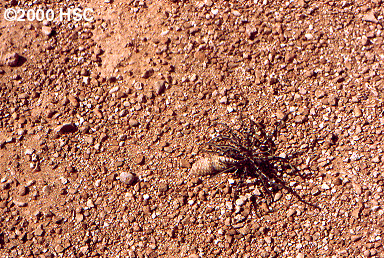 This unbranched species is only known from a small part of northern Somalia. 5. and 6. Another narrow endemic Euphorbia, E. turbiniformis, found only in a small part of northeastern Somalia. Try to find 3 Euphorbia turbiniformis plants in photo 6. Click here to see a huge box of this species dug from the wild. In his journal, Horwood estimates that he and colleagues removed 3,000 plants from habitat. It isn't clear how large the original population was or what effect the removal of so many plants has had on the species. 7. 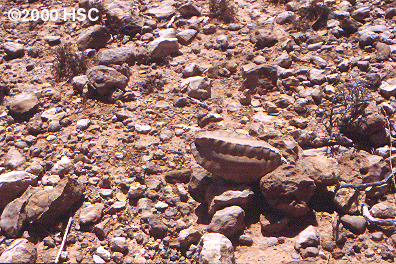 The monstrous mounds of Pyrenacantha malvifolia (Icacinaceae) resemble huge boulders. 8. Flowers of the parasitic broomrape Cistanche tinctoria (Orobanchaceae). 9. The strange succulent milkweed Whitesloanea crassa (Asclepiadaceae) growing in northern Somalia. This plant is thought to be very rare, because individuals are found growing very far apart from one another and never in large populations. Despite its apparent rarity, succulent enthusiasts seem to dig up every specimen they find. 10. Another very strange succulent milkweed, Pseudolithos migiurtinus, also from northern Somalia. 11. Notice how inconspicuous this small Euphorbia species (Euphorbiaceae) is in this photograph from its wild habitat in northern Somalia. 12. 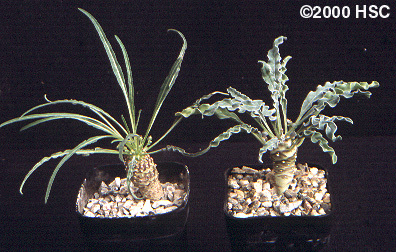 The plant on the left is the same species shown in 11. in cultivation. 1. An enormous onion-shaped termite mound with a Somali policeman, between Gardo and Iskushuban. 2. Spiny-tailed Uromastyx (U. macfaydenii?) in northeastern Somalia. 3. Incredible city of castles built by crabs on a beach near Eil, northeastern Somalia. 1. A view of the Nogal Valley near Eil. 2. Dhows on a beach near Eil. 3. Arid landscape near Las Anod in the Nogal Valley of northern Somalia.